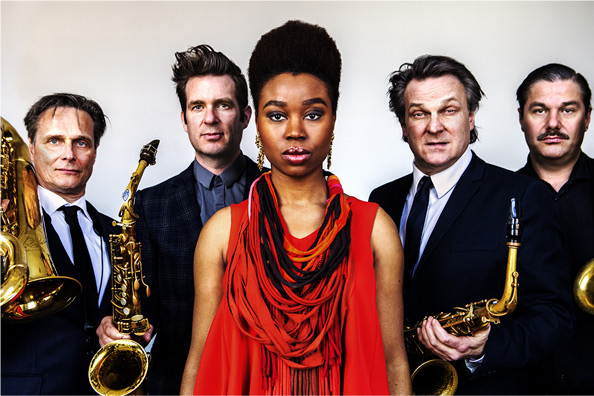 Homelands is a cooperation of Artvark Saxophone Quartet and the Cameroonian/Dutch singer Ntjam Rosie. At the beginning of 2016 this tour started with 27 performances throughout the Netherlands. In 2017 the programme will go on a second tour by popular request, amongst others in De Kleine Komedie Amsterdam and de Doelen Rotterdam. Artvark combines stunning precise play with groove, guts and strong solos, well-thought-out catchy pieces, played with passion. Totally hip. The music is specifically written for this programme by all 5 musicians and is inspired both by the traditional music from Ntjam's home country Cameroon and by more recent music from for instance Manu Dibango and Richard Bona and music from West and South Africa. Besides, the Afro-European blend of Ntjam's current soul, jazz, gospel and world music has been a source of inspiration too. Artvark continues the same path they took a few years ago, be it more radical than ever. They're looking for alternative ways of playing the sax and the way it sounds, using unorthodox sounds as the basis of a composition. Besides the whole range of 'ordinary' acoustic sounds, these four gentlemen dived in the world of electronics and effects to create the desired grooves of this programme. They are supported and complemented by sound engineer Rory van der Oest, who provides this role also for the bands 'De Jeugd van Tegenwoordig' and 'Kyteman' and theatre Paradiso in Amsterdam. Lighting expert Chico Wadilie and visual artist Sven Meijers complete the picture with their live creations of art, images and light. Resulting in a theatre show in which different worlds come together in a unique way. Ntjam's role will be divers. She will be the fifth instrument of the quartet, add spoken word, sing whether or not accompanied, use vocal percussion, form duos or trios with the saxes, accompany the quartet, occasionally on her guitar. She will perform texts in English and French, one of the official national languages of Cameroon, and sing in Bulu, her mother tongue. Four saxophonists, among the best of the Netherlands, that's Artvark. They played across the world at major Jazz festivals and venues from Prague to Egypt and from Thailand to Ireland and South Africa. No boring chairs or music stands, no rigid jazz purists. Artvark meanders through musical traditions from jazz to blues and everything in between or outside of that. 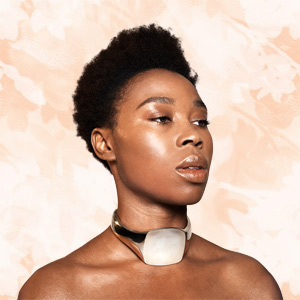 With her strong characteristic voice , endearing performances and charming appearance on radio and television Ntjam Rosie is a rising star in jazz and soul music. Her latest album 'The One' contains a wide range of styles and intensely beautiful songs. For this album Ntjam collaborated with famous musicians like Eric Vloeimans, Martin Fondse, Ronald Snijders, Pink Oculus and Lamin Kuyateh. This theatre concert brings together the best of two musical worlds and promises to offer an entertaining performance. It will be a unique and one-time experience to see this special cooperation live in the theatres.